Dear visitors and friends! If you value comfort, hospitality and pleasant atmosphere, but also know the value of money - a new, cozy, home-style hospitality Diva Hostel is open for you! 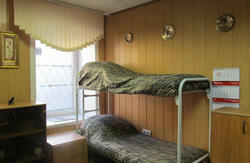 Our hostel is located 10 minutes from Moskovsky railway station in the heart of St. Petersburg at the corner of Nevsky Prospekt and Fontanka River Embankment, house № 38. 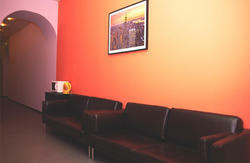 Diva Hostel is not big; there is double room, 4, 6 and 10-bed rooms. We are located on nab. Reki Fontanki 38, it is not far from Nevsky prospect. The entrance to the hostel is on archway of nab. Reki Fontanki 38, keep left side on the yard. You`ll see our signboard «DIVA». Get up fourth floor (the last), right door.